I'm interested in compiling a pictoral archive of printed materials (covers, advertisements, flyers, pamphlets, etc.) 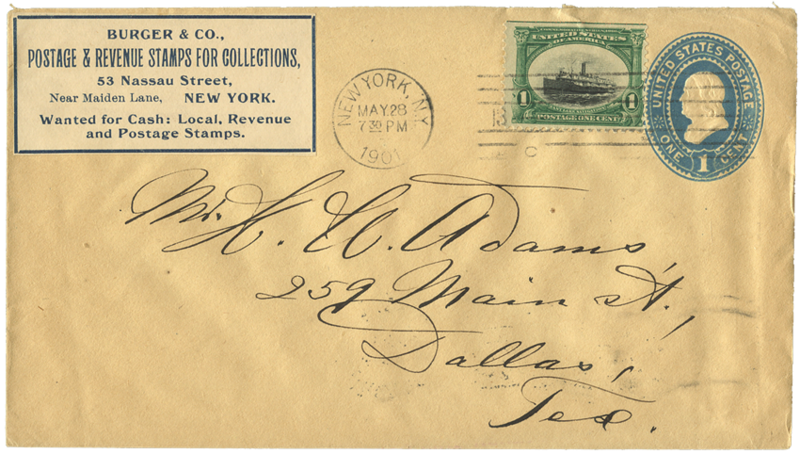 from early dealers in U.S. revenues from the 19th century and early part of the 20th century. If you have any materials not shown here and are willing willing to sell them, or are willing to contribute high resolution images (attribution will be provided), please email me. Great advertising cover. 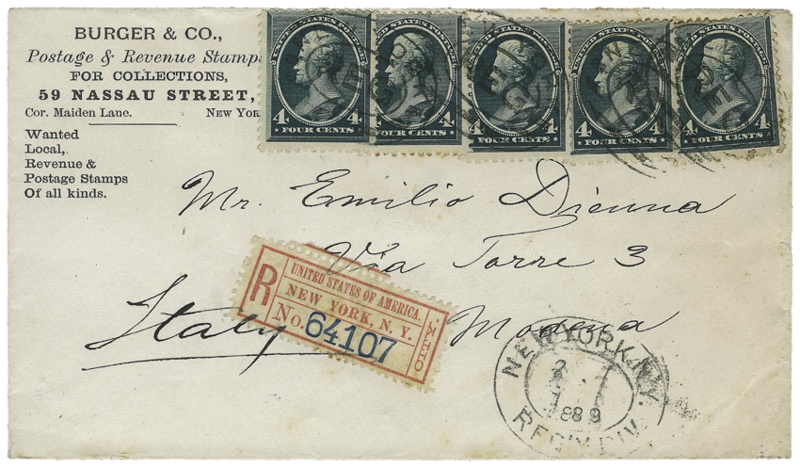 Image courtesy of Robert A. Siegel Auctions. 1889 Cover. 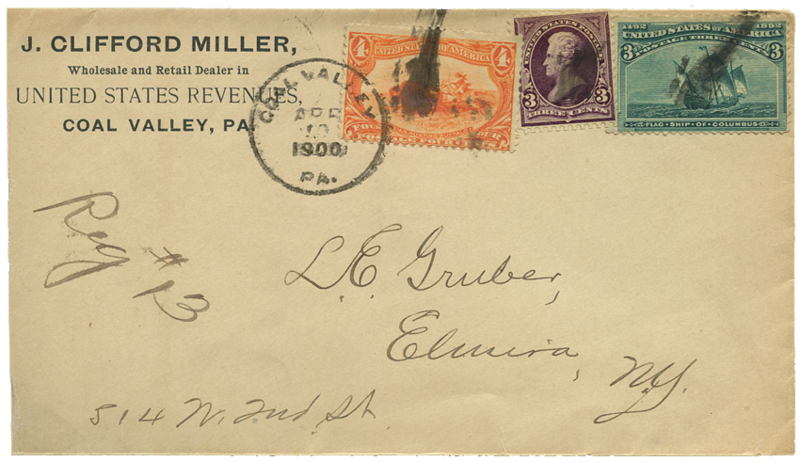 Image courtesy of Robert A. Siegel Auctions. 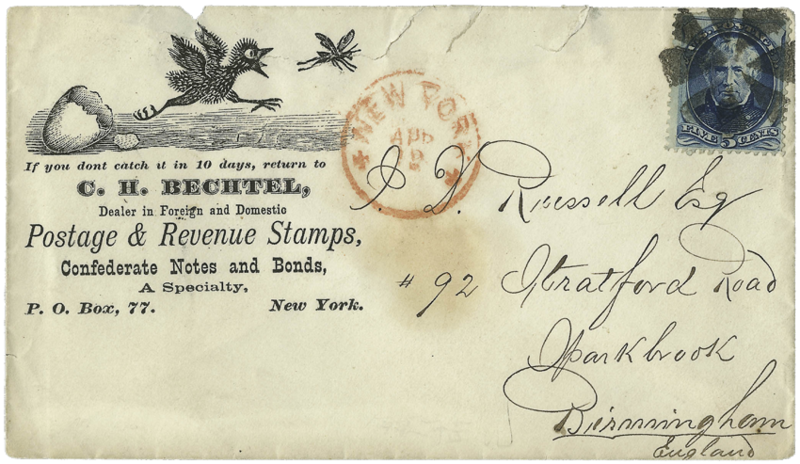 1901 Cover with advertising label. From my personal collection. 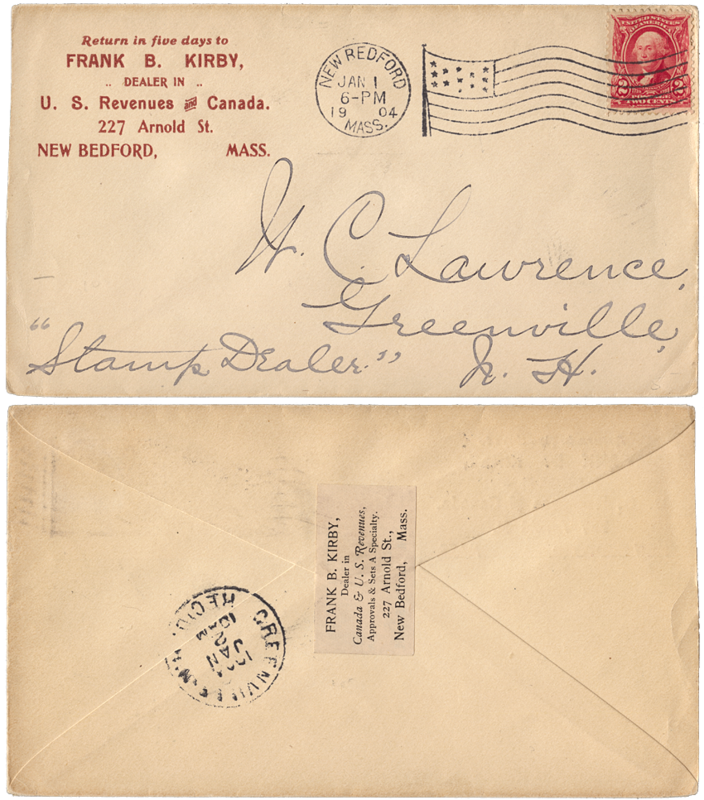 1904 advertising cover with back advertising label. From my personal collection. 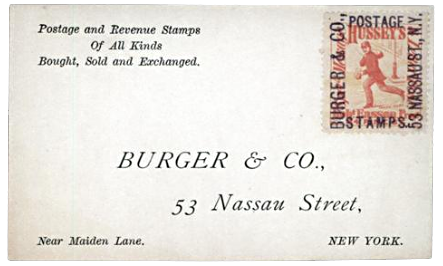 1900 advertising cover. From my personal collection.